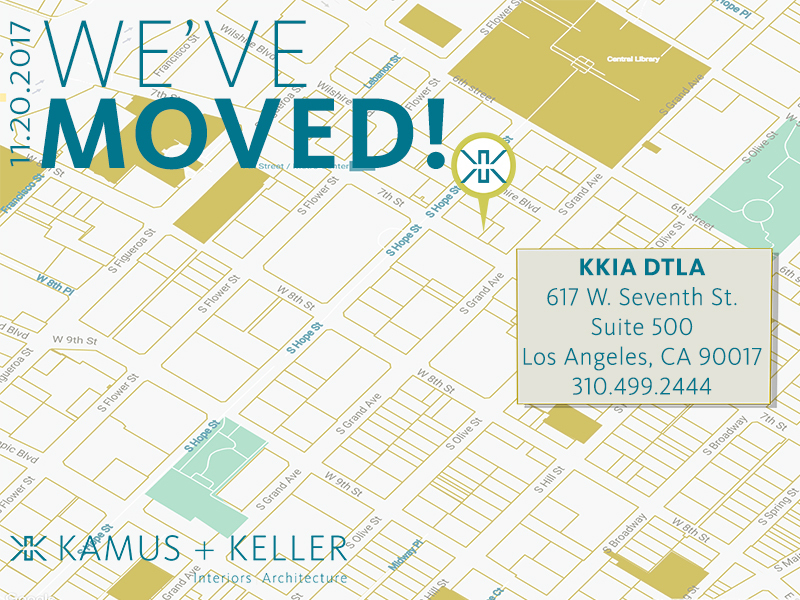 Kamus + Keller Interiors | Architecture (KKIA) has opened the doors to their new Downtown Los Angeles office in the historic 617 West Seventh Street building. While the office is fully operational, design and construction will continue throughout the remainder of the year to develop an environment reflective of KKIA’s unique brand and culture. Grand opening plans are underway for a public open house in early 2018. 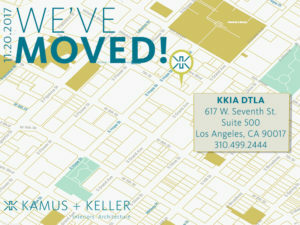 David Callahan of Hughes Marino represented Kamus + Keller in negotiations with building management, The Swig Company.